Robyn Brickel, M.A., LMFT is founder and clinical director of Brickel and Associates, LLC in Old Town, Alexandria, Virginia, established in 1999. She brings a strengths-based, trauma-informed, systems approach to the treatment of mood disorders, addiction, trauma, self-harm, eating disorders, perinatal mood and anxiety disorders, and other mental health conditions. She is deeply committed to clinical practice, professional education and better public awareness of mental health issues. Robyn works with clients and clinicians who wish to better understand the impact of trauma on mental health and relationships. Always learning, she continuously participates in training programs to stay abreast of the current theories and models of therapy – and shares this knowledge with others. Robyn presents workshops for various organizations and is on the faculty at the Institute for Advanced Psychotherapy Training and Education. Her educational programs address the treatment of substance abuse, including adolescent substance abuse and the impact on the family, perinatal mental health and trauma. As a clinician, she integrates 20 years of training and experience with numerous treatment modalities, including advanced training in several models of relational or couple’s therapy, Sensorimotor Psychotherapy, and is an EMDRIA Certified EMDR therapist and EMDRIA Approved Consultant-in-Training (see CV and information below for a complete list). She frequently shares insights, resources and links to mental health news on Facebook, Twitter and in her blog at BrickelandAssociates.com. 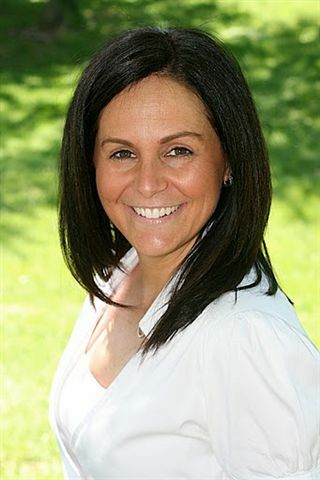 Working with individuals (adolescents and adults), couples, families, and groups, she specializes in the treatment of trauma across a full spectrum of conditions, including the use of dissociation, addictions, self-harm, and eating disorder behaviors, as well as challenged family systems, mood disorders, and maternal and parental mental health issues. She brings advanced training and experience to help clients in therapy make and maintain positive changes, find needed resources, and work from personal strengths. Robyn is a Licensed Marriage and Family therapist with advanced training in several additional models of couples’ therapy, such as Emotionally Focused Couple Therapy (EFT), IMAGO, and The Psychobiological Approach to Couple Therapy (PACT). Robyn’s work with adolescents goes beyond behavioral interventions and school performance. She brings a collaborative approach to address the underlying issues around substance abuse, self-harm, eating disorders, and challenged family systems. She helps young people and their families benefit from positive relationships and community resources, so family members grow and thrive together. Robyn speaks to school groups, parent groups and mental health professionals to promote a better understanding of trauma and the role of positive relationships in mental health. The Washington Post and Washington Parent magazine have featured her insights in articles about the dangers of adolescent marijuana use and teen dating safety. Robyn is a dedicated and supportive resource to colleagues and other professionals through clinical consultations. As an EMDRIA certified therapist, she is now an EMDRIA approved Consultant-in-Training (CIT) and offers consultation in this model for other licensed clinicians. Robyn is a compassionate and knowledgeable resource, actively providing collaborative support. She has served as a consulting therapist to local schools, communities, and medical facilities and providers. She works with substance abuse treatment providers and eating disorder facilities around the US, aiding recovery from substance abuse, alcohol addiction, eating disordered behaviors and co-occurring disorders. Robyn gives back to the community, volunteering as a mental health consultant to local organizations and schools. She educates adolescents and families about addiction, and works with local non-profit organizations to raise awareness of the mental health effects of domestic violence. Maternal mental health is a special focus of Robyn’s practice as well. She has worked aiding clients and therapists to understand maternal mental health issues from a trauma-informed model of care. She works with local postpartum support groups and with reproductive mental health specialists, helping treat issues including postpartum anxiety and depression and postpartum PTSD (P-PTSD). Robyn also presents educational programs in promoting maternal mental health from a trauma-informed lens. Her classes have been approved as part of the training of therapists for the advanced certification requirements for Postpartum Support International (PSI). In addition to her direct clinical work and volunteer work, Robyn runs Brickel and Associates, a full practice staffed with several counseling professionals, and teaches continuing education classes. For a complete list of her post-graduate training, see the curriculum vita attached below.